Gone are the days when you need to preserve your edges just because you have a game later or early the next morning. 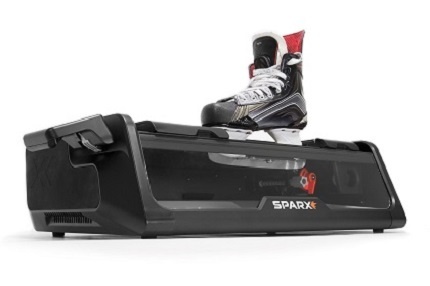 The Sparx Skate Sharpener is today's solution to this age old dilemma. Before or after you skate, Sharpen with Sparx. It's portable. It's accurate. It's easy.